In an era of health care reform, accountable care organizations, medical homes and health homes, our company is dedicated specifically to improving the policy and delivery of effective mental health and substance use disorder treatment. We strive to help people and their families with mental health and substance use disorders build strong communities, prevent behavioral health problems, and promote better health for all Americans. Dedicated to changing and improving the organizational systems that help individuals create full and productive lives, our consulting services are designed for the primary care and behavioral health sector in order to further enhance education and integration of person-centered treatment and recovery support services. 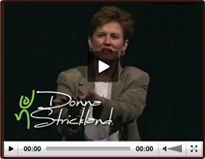 Donna has a Master of Science degree, is a Board Certified Advanced Practice Psychiatric Nurse and a Certified Speaking Professional, the National Speaker’s Association’s highest designation. 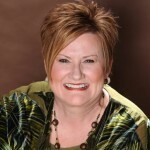 Having worked in the health care industry since the early 1980s, Donna possesses in-depth knowledge of the daily operations of treatment facilities and the value of organizational leadership on evidence-based practice.